PRODUK DAN FEE PPOB BANK BUKOPIN kompetitif dan menguntungkan. PLN PLN Postpaid Rp 3.000 Rp 2,200 Live! 2 PLN Prepaid Rp 3.000 Rp 2,200 Live! 3 PLN Nontaglis Rp 5,000 Rp 3,000 Live! 4 TELKOM GROUP PSTN Rp 2,500 Rp 1,300 Live! 5 SPEEDY Rp 2,500 Rp 1,300 Live! 6 INDIHOME Rp 2,500 Rp 1,300 Live! 7 TRANSVISION Rp 2,500 Rp 1,300 Live! 8 KERETA API TIKET KAI Rp 7,500 Rp 2,300 Live! 9 BPJS BPJS KESEHATAN Rp 2,500 Rp 1,300 Live! 10 TELCO ESIA Rp 2,500 Rp 1,200 Live! 11 MATRIX Rp 2,500 Rp 1,200 Live! 12 STAR ONE Rp 2,500 Rp 1,200 Live! 13 XPLORE Rp 2,500 Rp 1,200 Live! 14 MULTIFINANCE WOM Rp 2,500 Rp 1,200 Live! 15 FIF Rp 2,100 Rp 1,200 Live! 16 MAF Rp 3,500 Rp 1,100 Live! 17 MCF Rp 3,500 Rp 1,100 Live! 18 TV CABLE HALO Rp 1,500 Rp 850 Live! 19 AORA TV Rp 1,500 Rp 850 Live! 20 CENTRIN Rp 1,500 Rp 850 Live! 21 BIG TV Rp 2,000 Rp 1,000 Live! 22 INDOVISION Rp 1,500 Rp 850 Live! 23 PDAM AETRA JAKARTA Rp 2,500 Rp 850 Live! 24 PALYJA JAKARTA Rp 2,500 Rp 850 Live! 25 PDAM SEMARANG Rp 2,000 Rp 600 Live! 26 PDAM PALEMBANG Rp 2,500 Rp 900 Live! 27 PDAM LAMPUNG Rp 2,800 Rp 950 Live! 28 PDAM KOTA BANDUNG Rp 2,500 Rp 1,000 Live! 29 PDAM KAB. BANDUNG Rp 2,000 Rp 700 Live! 30 PDAM KOTA MALANG Rp 2,500 Rp 1,000 Live! 31 PDAM KAB. BOGOR Rp 2,500 Rp 600 Live! 32 PDAM KOTA BOGOR Rp 2,500 Rp 1,000 Live! 33 PDAM DEPOK Rp 2,500 Rp 800 Live! 34 PDAM MATARAM Rp 2,500 Rp 600 Live! 35 PDAM KAB. CILACAP Rp 2,500 Rp 1,000 Live! 36 PDAM KOTA MANADO Rp 3,000 Rp 950 Live! 37 PDAM KOTA BALIKPAPAN Rp 1,600 Rp 450 Live! 38 PDAM KOTA BANJARBARU Rp 2,000 Rp 550 Live! 39 PDAM KAB. SRAGEN Rp 1,700 Rp 1,000 Live! 40 PDAM KAB. KEBUMEN Rp 2,500 Rp 950 Live! 41 PDAM KAB. WONOGIRI Rp 2,000 Rp 1,000 Live! 42 PDAM KAB. SEMARANG Rp 2,000 Rp 600 Live! 43 PDAM KAB. PEKALONGAN Rp 2,000 Rp 800 Live! 44 PDAM KOTA SURAKARTA Rp 1,700 Rp 1,000 Live! 45 PDAM KAB. KENDAL Rp 1,500 Rp 900 Live! 46 PDAM KAB. BREBES Rp 2,500 Rp 1,000 Live! 47 PDAM JEMBER Rp 2,500 Rp 400 Live! 48 PDAM TIRTANADI (MEDAN) Rp 2,500 Rp 900 Live! 49 PDAM KAB.GARUT Rp 2,500 Rp 950 Live! 50 PDAM KAB. KARAWANG Rp 2,500 Rp 750 Live! 51 PDAM KOTA BEKASI Rp 2,500 Rp 900 Live! 52 PDAM KAB. KLATEN Rp 2,000 Rp 950 Live! 53 PDAM KAB. SUKOHARJO Rp 2,500 Rp 1,000 Live! 54 PDAM KAB. BATANG Rp 2,000 Rp 1,100 Live! 55 PDAM KAB. TEGAL Rp 2,000 Rp 1,100 Live! 56 PDAM KAB. BANTUL Rp 1,700 Rp 950 Live! 57 PDAM KAB. GUNUNG KIDUL Rp 2,000 Rp 800 Live! 58 PDAM KAB. BLITAR Rp 2,000 Rp 700 Live! 59 PDAM KAB. 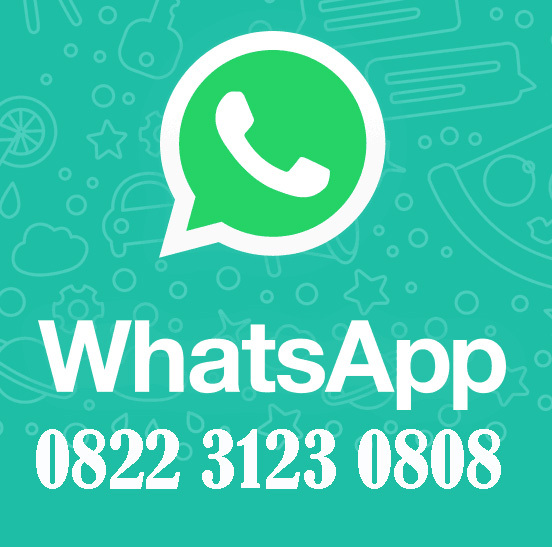 MALANG Rp 2,500 Rp 950 Live! 60 PDAM KAB. BANYUWANGI Rp 1,800 Rp 400 Live! 61 PDAM KAB. PROBOLINGGO Rp 1,800 Rp 450 Live! 62 PDAM KAB. SIDOARJO Rp 1,800 Rp 600 Live! 63 PDAM KOTA SURABAYA Rp 2,500 Rp 900 Live! 64 PDAM KOTA DENPASAR Rp 2,500 Rp 450 Live! 65 PDAM KAB. LOMBOK TENGAH Rp 2,500 Rp 600 Live! 66 PDAM GIRI MENANG MATARAM Rp 2,500 Rp 600 Live! 67 PDAM KOTA BANJARMASIN Rp 2,000 Rp 550 Live! 68 PDAM KAB. GOWA Rp 2,500 Rp 800 Live! 69 PDAM MAROS Rp 2,500 Rp 800 Live! 70 PDAM KAJEN Rp 2,000 Rp 1,000 Live! 71 PDAM KARANG ANYAR Rp 2,000 Rp 1,000 Live! 72 PDAM KUBURAYA Rp 2,000 Rp 450 Live! 73 PDAM KOTA MADIUN Rp - Rp 1,000 Live! 74 PDAM KAB. MADIUN Rp - Rp 1,000 Coming Soon! 75 PDAM KAB. MAGETAN Rp - Rp 1,000 Coming Soon! 76 PDAM KAB. PONOROGO Rp - Rp 1,000 Live! 77 PDAM KAB. PACITAN Rp - Rp 1,000 Coming Soon! 78 PDAM KAB. NGAWI Rp - Rp 1,000 Live!